A tentative Schedule of Events for the 2018 ITG Regional Conference in Oklahoma City has been announced on the conference web pages. REGISTRATION is open! 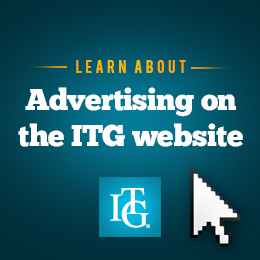 Click here for information on exhibiting at the 2018 ITG Regional Conference. The first ITG Regional Conference will be hosted by Michael Anderson, trumpet professor at Oklahoma City University on January 26th and 27th, 2018. Carmine Caruso Competition Finalists Announced. Read more: Carmine Caruso Competition Finalists Announced. The International Trumpet Guild announces a call for submissions of new compositions for trumpet to be performed at the “New Works Recital” at the 2018 International Trumpet Guild Conference in San Antonio, Texas. Conference Photos and Reports Complete! All photo galleries and event reports are now complete and available on the Conference Coverage page. All reports are now posted on the Conference Coverage Blog. Read more: Conference Photos and Reports Complete!